Happy Saturday, dear reader. 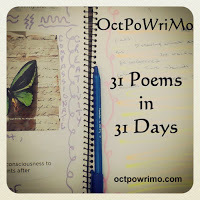 Today is the 25th day of #OctPoWriMo, and the prompt is 'magic'. I used this opportunity to tell of a life event, a magical event. For the readers who have seen the purple city (and I suspect there are few), it will evoke images of a wonderful setting. For everyone else, read this post to understand what I am referring to. I hope you enjoy this poem, and maybe you'll be inspired to find your own purple city, and create memories that last a lifetime. we hid in quiet privacy. Yes, definitely sweet! And timeless. The Purple City... I love it! How wonderful is this?! It is really neat to experience it! Thanks for stopping by the site! Enjoy the reading!! Thanks for coming by and reading my work!! Nice memory to share here! Thank you.